Posted October 26, 2018 by Andrew Dexter & filed under Headlines, News. John Barrowman seems to be hopeful that Chris Chibnall, Doctor Who‘s new showrunner, could be the man to help him bring back the show’s spinoff series Torchwood. He wants to set up a chat. Long before he was Doctor Who boss, Chibnall was a writer and co-producer on Torchwood. He also contributed scripts for David Tennant and Matt Smith’s Doctors in the main show. And now that he’s the man in charge of Who, Barrowman is keen to set a meeting. “Who knows? If anyone can do it, it’s Chris. Chris is the one who can make the decision, because it’s always the decision of the showrunner of Doctor Who. It seems like Barrowman is the one pushing for conversations to happen, but all the decisions would need to be made by Chibnall and the BBC. You can’t fault Barrowman’s commitment to the Torchwood brand, though. As well as trying to get talks started for a TV return, he also writes Torchwood novels and appears in Big Finish’s audio productions. 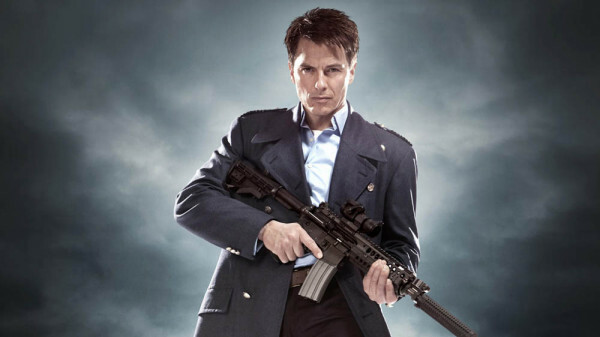 As we hear more about Barrowman’s bids to bring back Torchwood, we’ll be sure to let you know.